Last night was just a typical New York event. 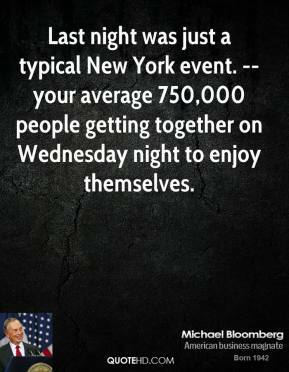 -- your average 750,000 people getting together on Wednesday night to enjoy themselves. 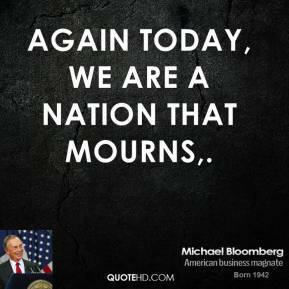 Again today, we are a nation that mourns. 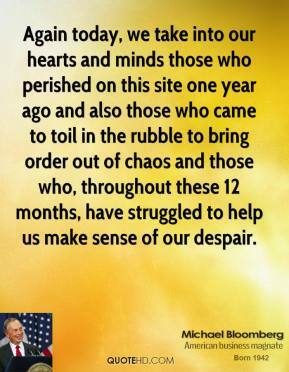 Again today, we take into our hearts and minds those who perished on this site one year ago and also those who came to toil in the rubble to bring order out of chaos and those who, throughout these 12 months, have struggled to help us make sense of our despair. 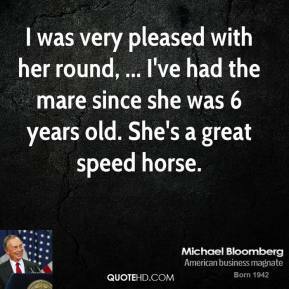 I was very pleased with her round, ... I've had the mare since she was 6 years old. She's a great speed horse. 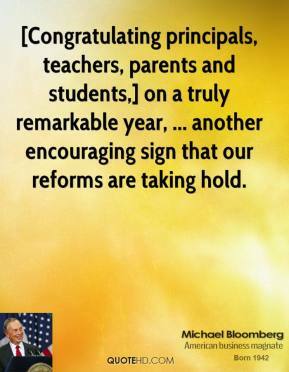 [Congratulating principals, teachers, parents and students,] on a truly remarkable year, ... another encouraging sign that our reforms are taking hold.